I’ve decided to start a new series on my blog called Quotable. The purpose is to provide my readers with a short, inspirational thought approximately once a week. I come across many great quotes and thoughts on Pinterest so that will be my main source. I welcome your feedback on the series and any particular ones that speak to you. This really spoke to me as I struggle with this. 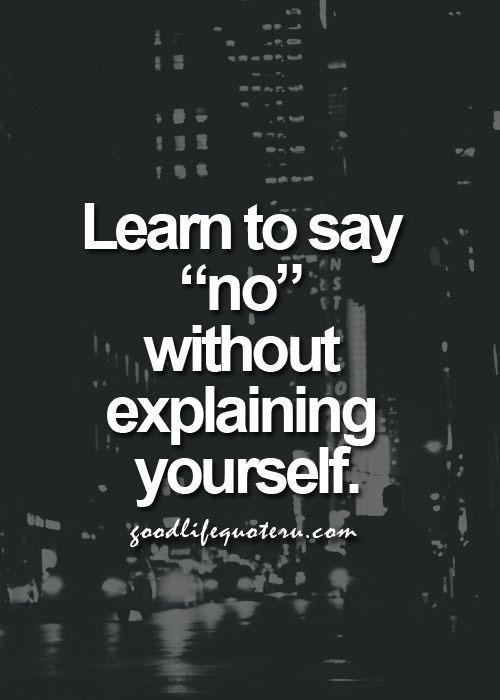 The simple two letter word “no” doesn’t seem to be in my vocabulary. I rarely say no when someone requests something of me. It’s a fine line because on one hand I feel it’s important to be helpful and say yes when you can, but you can take it too far. I say yes a lot and people know that and consequently some people will take advantage of my willingness to help. When I do occasionally say no, I feel like I have to explain myself – why am I saying no… I think this is because I have a guilty conscience. If I would say no without a good reason, then I would feel very guilty. Do you struggle with this? Do you have any advice for me?